Frenchman and I are officially homeowners! After months of apartment hunting, filing paperwork, and waiting for French bankers to come back from vacation, it’s finally official. We’re key-carrying owners of our very own place. We bought a place in France! We just barely made it by the skin of our teeth, thanks to the banks losing our paperwork and not mentioning it to us until 3 days before the signing. After running like crazy to get them new papers in the mail, and a few angry emails and phone calls from Frenchman and our notary, we made it just in time, with the expedited wire transfer arriving in the account about an hour before our appointment. Phew. After all that stress and living in various states of temporary, I’m very much looking forward to having a permanent home with my own stuff and no deadline of having to move out. Before we move in, however, there is a bit of work to do. We want the place cleaned up and ready for a fresh start before we put ourselves and any furniture in. We’re refinishing the floors (they’re a little worn out and one room needs a bit of restoring), putting a fresh coat of paint on the walls, and getting ourselves a brand new toilet. I never thought I’d be excited about a toilet. But let me tell you, getting quotes for all this wasn’t easy. We had a long list of things we’d like to do, but contractor work here is insanely expensive. Like everything else in France, compared to the US. We’re talking several thousand euro for a single window installation. That wish list was cut quite short when the estimates started adding up. With or without new double-paned windows (the place is really quite warm and quiet with single panes anyway…) the place is pretty, spacious, and we’re so excited to finally call it home. Yes, it’s true, we’re moving out of Paris. Paris-proper, anyway. 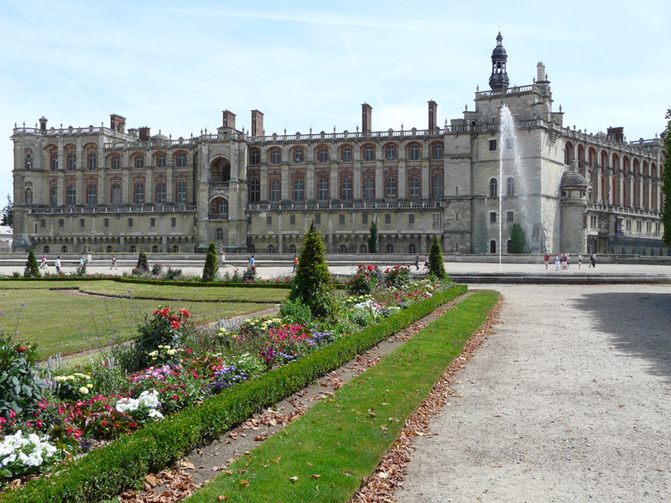 Saint-Germain-en-Laye is a convenient RER ride away, and it will actually take less time to get to work than it would from some other corners of Paris. It’s a cute ‘banlieu’ town with lots of bustling activity, tons of shopping and restaurants, and its very own castle! Also on the plus side, it’s where Frenchman’s parents live, having moved there just a year ago to be nearer Frenchman’s brother with his wife and kids. So now the whole family is in Saint Germain. Nice in general, but for me it’s especially reassuring since my own family is across an ocean and 6 time zones, some 3,000+ miles, away. It’s hard being so far from the people you turn to for help, so I’m glad to be a quick 5 minutes away from French family. You can’t get that in Paris! Congratulations!!! What a gorgeous view! Félicitations! When I was teaching in France, we lived in Rueil-Malmaison, just next door to Saint-Germain-en-Laye. Great location! Easy access to the RER to La Défense and Paris. Enjoy!!!! That’s a beautiful area. I wish I lived in a place surrounded by so much history and culture.